« Cosmetics Europe and the EU’s FP7 (7 th Framework Programme for Research and Technological Development) have each contributed half the funds towards a € 50 million European public–private partnership (PPP) – the largest of its kind – as it looks towards a new era of assessing chemical safety without using animals. The SEURAT-1 project, which aims towards the replacement of In Vivo repeated dose systemic toxicity testing, had its final symposium today, showcasing the collective knowledge, and cross-disciplinary expertise of regulators and scientists from over 70 universities, research institutes and companies. « In New Food’s upcoming webinar, the analytical importance of colour analysis within the food industry, as well as examples of systems that can be used for colour measurement will be explained by three industry experts; Christian Jansen, European Sales Manager, Hunter Associates Laboratory, Inc., Thibaut Dedreuil-Monet, Technical Specialist, RSSL and Etienne Arman, Analytical Specialist, Jacobs Douwe Egberts (JDE) GB R&D Ltd. Whether a food product is declared tasty depends on its ingredients, flavor and also the appearance of the final product. In many cases the first sense engaged when someone goes for a food product is vision. Especially with packaging the only way to judge if it’s a good product or not is optics. 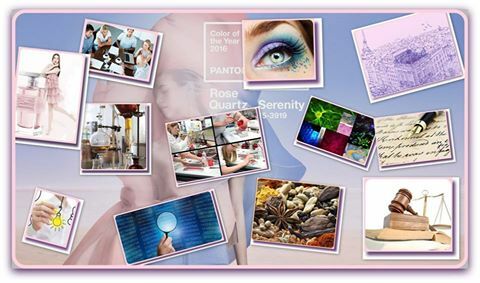 To measure colour hues of food products in a variety of conditions, complex technical solutions are required. Plant scientists engineered the Cassava plant to produce higher levels of vitamin B6 in its storage roots and leaves. This could help to protect millions of people in Africa from serious deficiencies. In many tropical countries, particularly in sub-Saharan Africa, cassava is one of the most important staple foods. People eat the starchy storage roots but also the leaves as a vegetable. Both have to be cooked first to remove the toxic cyanide compounds that cassava produces. But the roots have a disadvantage: although rich in calories, in general they contain only few vitamins. Vitamin B6 in particular is present in only small amounts, and a person for whom cassava is a staple food would have to eat about 1.3 kg of it every day for a sufficient amount of this vital vitamin. Vitamin B6 deficiency is prevalent in several African regions where cassava is often the only staple food people’s diet. Diseases of the cardiovascular and nervous systems as well as are associated with vitamin B6 deficiency. Plant scientists at ETH Zurich and the University of Geneva have therefore set out to find a way to increase vitamin B6 production in the roots and leaves of the cassava plant. This could prevent vitamin B6 deficiency among people who consume mostly cassava. Their project has succeeded: in the latest issue of Nature Biotechnology, the scientists present a new genetically modified cassava variety that produces several-fold higher levels of this important vitamin. “Using the improved variety, only 500 g of boiled roots or 50 g of leaves per day is sufficient to meet the daily vitamin B6 requirement,” says Wilhelm Gruissem, professor of plant biotechnology at ETH Zurich. The basis for the new genetically modified cassava variant was developed by Professor Teresa Fitzpatrick at the University of Geneva. She discovered the biosynthesis of vitamin B6 in the model plant thale cress (Arabidopsis thaliana). Two enzymes, PDX1 and PDX2, are involved in the synthesis of the vitamin. With the introduction of the corresponding genes for the enzymes, into the cassava genome, the researchers produced several new cassava lines that had increased levels of vitamin B6. 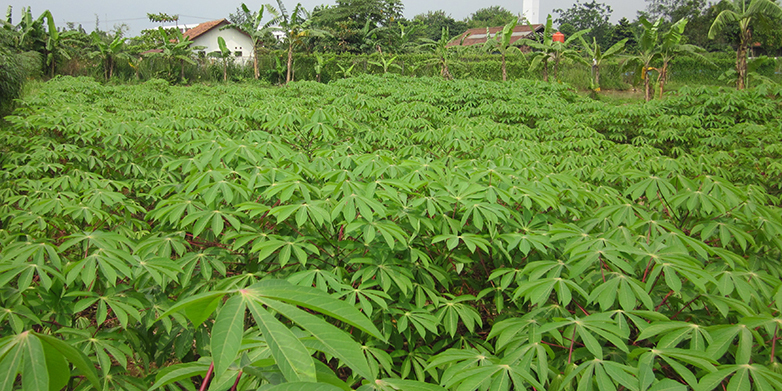 To determine if the increased production of the vitamin in the genetically modified cassava was stable without affected the yield, the plant scientists conducted tests in the greenhouse and in field trials over the course of several years. “It was important to determine that the genetically modified cassava consistently produced high vitamin B6 levels under different conditions,” says Gruissem. Measurements of the metabolites confirmed that cassava lines produced several times more vitamin B6 in both roots and leaves than normal cassava. 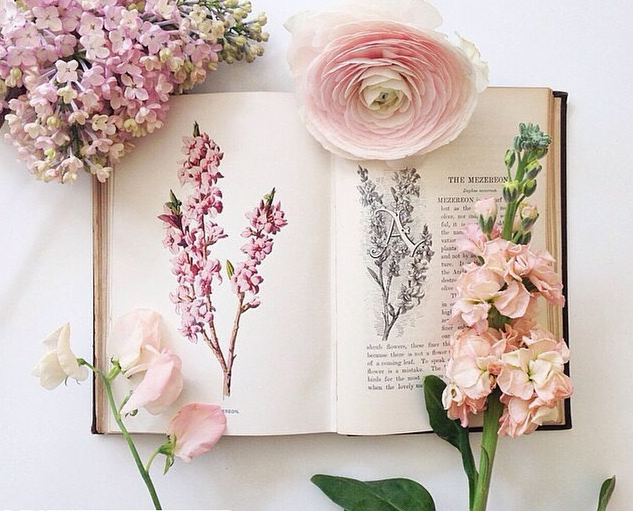 The researchers also attributed the increased production to the activity of the transferred genes, regardless of whether the plants were grown in a greenhouse or the field. The increased vitamin B6 trait remained stable even after the cassava was multiplied twice by vegetative propagation. Previously, the researchers had analysed several hundred different cassava varieties from Africa for its natural vitamin B6 content – none had a level as high as the genetically modified variety. Vitamin B6 from the genetically modified varieties is bioavailable, which means that humans can absorb it well and use it, as was confirmed by a research team at the University of Utrecht. “Our strategy shows that increasing vitamin B6 levels in an important food crop using Arabidopsis genes is stable, even under field conditions. Making sure that the technology is readily available to laboratories in developing countries is equally important,” says Hervé Vanderschuren, who led the cassava research programme at ETH Zurich and recently became a professor of plant genetics at the University of Liège. It is still unclear when and how vitamin B6-enhanced cassava will find its way to farmers and consumers. The new trait should be crossed in varieties preferred by farmers using traditional plant breeding or introduced into selected varieties using genetic engineering. The method for increasing vitamin B6 has not been patented because the gene construct and technology should be available freely to all interested parties. One huge hurdle, however, is the distribution and use of the new variety: “There are at least two obstacles: legislation for transgenic crops in developing countries and implementation of a cassava seed system to give all farmers access to technologies,” says Vanderschuren. He is currently supervising a project in India in conjunction with the School of Agricultural, Forest and Food Sciences (HAFL) in Zollikofen, which he hopes will result in guidelines for the development of sustainable seed system for cassava in India. “Our work in Africa will also benefit from this project,” he asserts. Individual national organisations as well as the FAO and other NGOs are currently organising the spread of cassava stem cuttings for cultivation in Africa. However, a better and more efficient organisation for the distribution of healthy plant material is urgently needed, says the researcher.